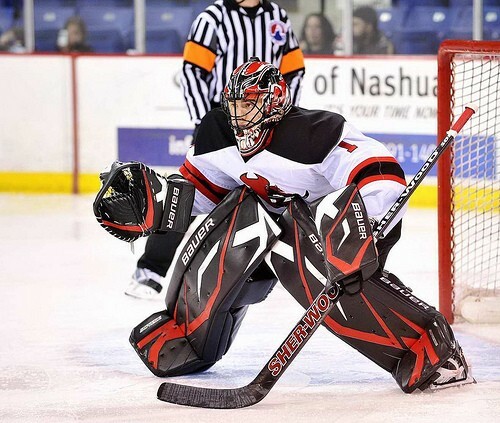 We’re excited to welcome a new member of the inGoal Magazine team today – professional goaltender Mike McKenna of the AHL Lowell Devils. Mike signed with the Devils after playing for the Norfolk Admirals and Tampa Bay Lightning last season. He became the first Lightning goalie to record a shutout in just his 2nd NHL start vs the Islanders. In 15 games with the Lightning he posted a 4-8-1 record and a GAA of 3.54. Professional hockey in North America reaches much broader than the casual fan knows. Teams exist in the Deep South, the Frozen North and everywhere in between. And I’ve played just about everywhere to prove it. My 5-year pro career spans 3 leagues and 7 different teams, despite never being traded! I could be described as many things; journeyman, minor-league veteran, NHL call-up, suitcase…all of which are more or less accurate. What I’d prefer to be known as, however, is a hard-working professional who has not only paid his dues, but improved every season. To me, that’s the ultimate compliment, and what I strive for. Given my experience, people often ask what the difference is between leagues, namely the ECHL, AHL, and NHL. The short answer is this: money. To put it in quick perspective, minimum salaries for the 2009/10 season are $400/week plus housing expenses in the ECHL, $36,500 for the AHL, and $500,000 in the NHL. The long answer is quite complicated. Players in each league are highly skilled: there are plenty of All-Americans and high draft picks who have spent time in the ECHL, with mixed results. In general, ECHL teams are comprised primarily of free-agent players. However, NHL and AHL-affiliations are common; clubs generally loan a handful of players – and almost assuredly a goaltender – to their ECHL affiliate. The goal of NHL teams is to develop players for the AHL team, and hopefully down the road, their big club. However, the goal for ECHL franchises (almost all are privately owned) is to win hockey games and make money, and as such, putting the best team possible on the ice is in their best interest. The AHL, on the other hand, is a bit different. Per (most) affiliation agreements, player’s salaries are paid by the NHL franchise, even if the team is privately owned. The NHL team is also responsible (with very few exceptions) of hiring coaches and hockey operations staff, which in turn gives them almost complete control over player personnel. As such, development is considered paramount: the quality of AHL teams can be directly linked to the ability of their parent club’s draft picks and free-agent signings. People often assume that there is a huge difference in the speed of the game between the levels. Truthfully, there isn’t much. The ECHL is comprised primarily of players who have been overlooked by NHL teams for whatever reason. Many players thrive in this league yet – due to size, perceived skill level, or age (among other things) – have a difficult time getting a legitimate shot in the AHL (and subsequently NHL). However, this doesn’t mean they are poor hockey players. If you take a quick glance at skills competition results from the ECHL, you’ll find that some players are just as talented on an individual basis as those in the AHL and NHL. Guys can crank the puck over 100mph. They can skate a lap in under 14 seconds. What they can’t necessarily do is think the game on the same level as those in higher leagues. Therein lays the biggest difference: the speed of the game isn’t that different, but the intelligence and skill of the game is. While the puck may not physically move any faster, the rate at which plays are made and the creativity associated with them improves at every level. The best way to describe this, from a goaltender’s perspective, would be to envision killing a penalty with the opposing team already in your zone. Imagine yourself, on your goal post ready to explode, puck in the corner and in possession of an attacking player. In the ECHL, there might be one or two viable options available for the opposing forward given their skill set/mental makeup. A top-end AHL player might have two or three options. But an NHL player – whose level of experience and ability to read the play (again think the game) surpasses those in the minors – might be able to create a third or even fourth option. A great example of this type of player, whom I was lucky enough to grow up watching in my hometown of St. Louis, was Brett Hull. Everyone remembers Hull for his wicked shot, but very few realize just how good Brett was at getting open in the offensive zone. This is truly what set him apart from the rest of the snipers in the NHL: his mental game was every bit as good as his physical, if not better. That’s not to say Brett Hull wasn’t one of the best shooters in hockey – ever. As you can imagine, each rung of the ladder features players who possess a higher skill set. However, there isn’t nearly the disparity that one might think, although exceptions certainly do exist. Top end players in the AHL can easily play in the NHL; in fact, most have at some point in their career or will in the near future. The same correlation exists between the ECHL and AHL. Becoming a full-time player at any level is ultimately decided by performance: you have to be able to grasp the opportunity and run with it. When I talk about skill set, it covers lots of ground. Obviously, NHL players are the best shooters in the world. There’s no debating it. However, you also have to remember that the best defensemen play in the same league, a fact that cancels out a fair amount of singular offensive ability. Every team in the NHL has a superstar, but they don’t score every game. Why? Because teams have become adept at shutting down the opposition; systems and video analysis have advanced pre-scouting immensely. From a personal standpoint, I’m glad that I spent the better part of two seasons in the ECHL before moving up to the AHL on a full-time basis. I got a chance to play for an outstanding team in Las Vegas, something that is invaluable in furthering a career. The bottom line is that NHL teams want winners in their organization. You might be the most technically skilled goaltender to grace the earth, but if you don’t have a worthy team around you, advancing your career becomes exponentially harder. Having played – and won – a number of games for the Wranglers provided the platform I needed to succeed with the AHL’s Portland Pirates the following year. I also firmly believe that spending a year and a half in the AHL before getting my first taste of NHL action was of great benefit. I was nervous, but also knew that my four-year understudy in the minors had prepared me for just about anything. Overtime games? Check. Shootouts? Check. Playoff runs? Check. Being a backup? Check. Being sent down? Check. Getting pulled? Check…numerous times. Aside from playing against household names in the NHL, the game of hockey hadn’t changed for me. Thankfully, the adjustment wasn’t huge. I never felt behind the play as some may assume; again, the speed wasn’t that different. During the several months I spent with Tampa Bay, the toughest challenge I faced was staying on top of my crease, especially during penalty kills. I had to trust my skating ability. 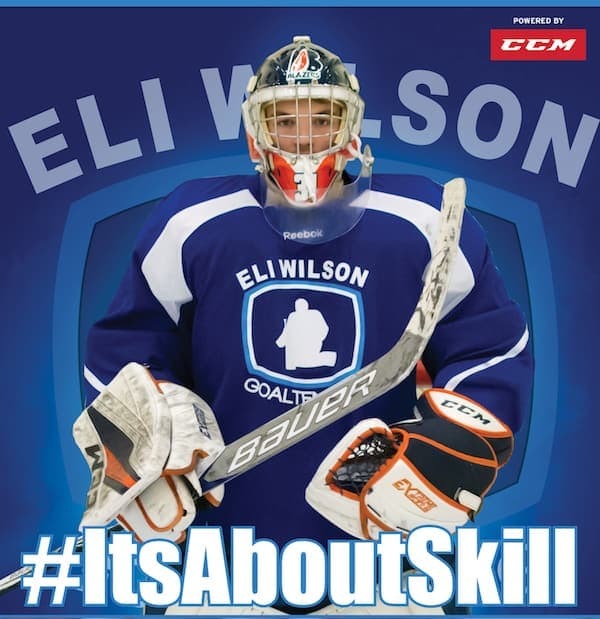 Although I felt prepared to play in the NHL, I struggled to find consistency, something that many young goaltenders face when they move up to the next level. My fingers are crossed that I’ll get the call again someday. Being an NHL goaltender was always my dream. It still is – only now I’m more prepared than ever. Join 35,000 other InGoal subscribers – it’s free! I really like this article because you explain all the differences. I did not know how drastic the pay is between the different leagues. I like how you go into depth on goaltenders experiences. I also just started reading this blog and you really go into depth on equipment and regulations and explainations on what people use for equipment. Anyway going back to your post, I like how you talk about your past experiences in the system and what the reality is for a goaltender to make the show. Overall a great article. I am starting a blog on hockey equipment and would like to use you guys (attribute you of course) and also to get interviews. Anyway hope all is well and I will continue you reading! Pure class act…Lord knows STL is proud to be his home. Awesome to have you at InGoal, its always great to get a “ture” perspective instead of always wondering. I used to stand in for a goalie in the ECHL a long time ago (Toledo) in practice because he was lazy, and didn’t like taking shots in practice. While that was awesome for me, now I realize why he was a career ECHL goalie! He played decent in games, just never had the work ethic to take it to the next level. I can remember the buys talking about getting summer jobs in the locker room, and wondering “well why?” they were pro hockey players, now I know why!!!! Thanks for the article and look forward to many more. How do you get your equipment through your team? (I am assuming equip manager) Whats the process?, do you have full control? Are you directed towards certain brands like they are in Major juniors? Do you have a limit on the gear? What do you do if you don’t like the stuff you got? Great piece! It confirmed what I always kind of suspected: that the real difference is the players “hockey sense.” I have seen some amazing ECHL games, and some not so amazing NHL games, and it seemed like the skill levels are not as far off as one might think. Like the above commenters, I would love to hear about the equipment and the background stuff that us rec-league goalies may never get to see! Kudos for your excellent article. Who said that hockey guys can’t be skilled with a pen too? I would be interested to hear your insight on the fan base in some of these far flung destinations. I have the hardest time imagining that there are real hockey fans in places like Texas or Nevada, where bowling, poker games or tractor pulls seem to get higher ratings. Do people really like hockey in these cities? Do they think of it on the same cheesy sort of level as roller derby or WWF? Maybe I am being smug because I live in Quebec where people live and die for hockey (the Quebec Montreal reality series has just started and this Sunday there will be near 15 thousand people to see a garage league game! ), but I continue to believe that Gary Bettman and co. have flopped in their idea of pushing expansion in the sun belt. What a great writer – a pleasure to read. The difference in goaltending from ECHL, AHL, and the NHL is minimal. The goalies who make and stay in the NHL are usually high prospects, Luongo, or were lucky to be drafted by a good team, Brodeur. If Patrick Roy didn’t win the Cup in his first season he may not have lasted after four years. His stats were not as good as his partners every year including playoffs after the Cup. Lucky! Roy best clutch goalie in the moment…go Habs go! Most cups ever…. Mike, being from Maine and moving to Las Vegas I had the pleasure of seeing you play in both leagues. Would love to be at the arena and see you play in the NHL live. I wish you the best life has to offer. A couple of my students played with you at SLU. Great article and you truly outline it well. Rudementary skill level just about same at all levels. It is the finishing skills that set the others apart as well as the mental makeup. Hope you can carve out a nice career in the bigs!!! Great article. Thanks for sharing, keep kicking! strongly disagree. there’s a reason why those 60 goalies are in the show and there are countless amounts of goalies who are not. whether it be work ethic, skill level or love of hockey. there is a reason why those guys are there and millions of us are not. they are simply the best in the world and not any goalie or any professional goalie for that matter are playing at that level. did you read the article? He has played in every league so probably has a better perspective than you thursday night beer league. I listened to the exact same talk given the other night by Scott Darling after his recent second call up to the Hawks. He felt the NHL was a bit easier then the AHL as the defense was so good and predictable. I have many friends who have played at all levels. You are right on many fronts in the article. I must say, after 2o years your article did remind me of why I am back in the pipes for a new challenge! From AAA Midget, and JR to trying to crack a line up in the Senior AAA of Ontario to not just win but win BIG! I really enjoyed this article. I live in Fort Wayne Indiana,which has now joined the ECHL. SO I will have the chance to see them do their best. Thanks to Mike McKenna for this article. Never have had to chance to see an NHL game live i often wondered if there was any skill difference. This opened my eyes to the mentality that goes into hockey not to mention the physical. To play in any of those leagues I feel you truly have to love the game. Awesome article guys! What a great resource to share with up and coming players – thanks for sharing this info. this was a good article.i rember when scott gomez played for alaska when the first lock out happened and hockey people said the that difference in the echl was mental that when a player set up a play the other player should be in possion to get the puck,like in the nhl or ahl.when he played in the echl i though scott would tear up the league in scorring and in fact that did not happen.the players in the echl and chl are skilled,can skate and shoot,they are just not quite at par in the mental part of the game.but to me theses guys in the echl and chl are players that play for the love of the game and are chassing a dream to play in the nhl thats what makes them special! I would have liked to read more about the difference in the coaching at each level, from the head coach to the goalie coach. I bet there are wild fluctuations in quality. You could be a journalist after retirement. Thought about it? Really appreciate the insight. I just learned that Brampton Ontario has an ECHL team (where have I been) and was trying to understand the difference between them and the Hamilton Bulldogs. Hugely helpful.